Far from the sanitized, glossy raps peppering Bollywood films, MCs from across India have been remaking the genre with their own experiences. Acclaimed DIY rappers from Mumbai and New Delhi, such as Naezy, Divine, and Prabh Deep, have been kicking reality on the day-to-day life and troubles in their cities' slums. 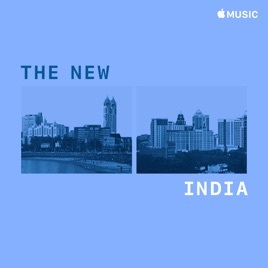 And while many underground rappers have, of course, absorbed trap beats—currently a universal language of modern rap—artists like Mumbai's Finest, Bombay Bassment, and Brodha V show there's room for everything from EDM textures to reggae to Carnatic vocal assists. Our editors regularly update this playlist—if you hear something you like, add it to your library.